Walter Widdop was born in Norland, near Halifax (Yorkshire), and left school at 12 to work at the local woolen mill. He joined the local church choir, singing in a variety of oratorio works. When the war came in 1914 he joined the army, and despite his good voice it was not until 1922 that he started to think about professional singing. 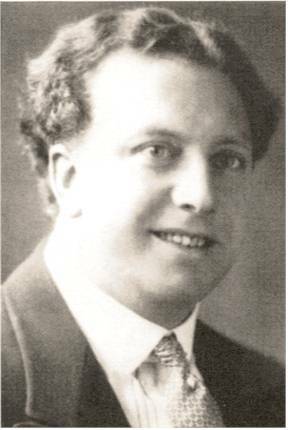 Having once realized his talent, Widdop began his studies under Arthur Hinchcliffe and took further advice from the famous British bass Norman Allin. After short studies with the baritone Dinh Gilly he debuted as Radames in 1923 at the British National Opera in Leeds, to be followed by singing Samson. The next year Covent Garden saw him as Siegfried and he was immediately recognized as a notable “Heldentenor”. His repertory included Siegfried, Siegmund, Tristan, Tannhäuser, Samson and Renaud in Gluck’s Armide. He created Bagoas in Goossens’ Judith. 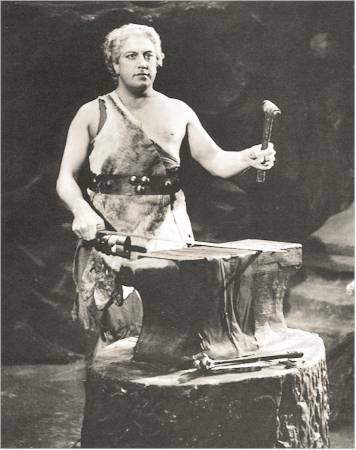 In 1936 Widdop sang the title role in the British premiere of Stravinsky’s Oedipus Rex, in a concert performance under Ernest Ansermet. What followed was a successful career, yet not so successful as it should have been. He sang opera in Spain, oratorio in Holland and songs in America, but the career remained limited and more or less homebound. The public admired him in Wagnerian parts, but he was also an excellent oratorio singer. In Gluck’s Armide (1928) a critic described his acting as “sincere but a little too restrained”. Other critics wrote: ”Walter Widdop is worlds better than any visiting German tenor since the war, and yet we have to put up with imported Teutons who turn our thoughts to murder” and “There are two hundred opera houses in Germany to whom Widdop would be a godsend... It is waste in an era of famine for a singer with his material and skill to go round the country year after year singing in Messiah when he could be singing Lohengrin, Tannhäuser, Siegfried and Parsifal. After two years routine on the German stage he would be one of the four leading heroic tenors in Europe”. Widdop’s last engagement in London took place in 1949, when he sang Lohengrin’s Farewell under Sir Adrian Boult at the Royal Albert Hall. He collapsed in his dressing-room immediately after the performance and died the next day. Frida Leider, Florence Austral, Florence Easton, Göta Ljungberg, Maria Olszewska, Maartje Offers, Lauritz Melchior, Walter Widdop, Rudolf Laubenthal, Friedrich Schorr, Rudolf Bockelmann, Ivar Andrésen, Emmanuel List, etc. Pearl has assembled all 122 sides that comprise the celebrated HMV albums of extended Ring Cycle excerpts issued in the late 20’s and early 30’s. 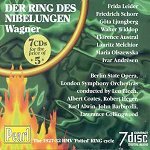 This abridged Ring displays qualities missing in later recordings - primarily in the quality of the singing, where these recordings benefit from some of the finest Wagnerian singers there have been. Walter Widdop is outstanding as Siegmund. Mark Obert-Thorn's transfers are very good. The musical examples of the leitmotivs are included in the accompanying booklet. 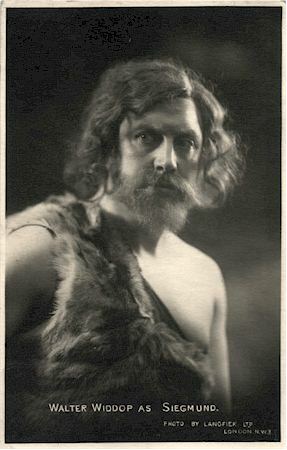 Walter Widdop recorded between 1924 and 1930. His Wagnerian recordings opposite Frida Leider, Göta Ljungberg and Florence Austral belong to the most important Wagner recordings ever made. To me, Widdop is equally fine in oratorio music. His singing can be smooth as well as forceful in just the right proportions. It is quite the opposite of playing this music in “period style” (as we are used to hear today), which has not the virility of tone to provide the force, or generally the technique to sing runs with this evenness. Robert Steane said that he would go to hear oratorio music much more often if he thought there was a chance of hearing singing like this. I can but endorse Steane’s opinion wholeheartedly!